Looking for something to bake up this Easter that doesn’t require the baking skill set of Barefoot Contessa? Look no further than this carrot cake inspired banana bread from Chocolate Covered Katie! If you can’t decide between carrot cake or banana bread (because who should have to choose? ), this dessert is ideal for you. Perfect for Easter breakfast, brunch, or lunch this recipe is easy to make and doesn’t require hours slaving away in the kitchen (less than an hour). Perfect for those with dietary restrictions, this bread is vegan and gluten-free. This little goody also provides you with vitamin A from the carrots and potassium from the bananas, so like, you could say you are the epitome of health, right? 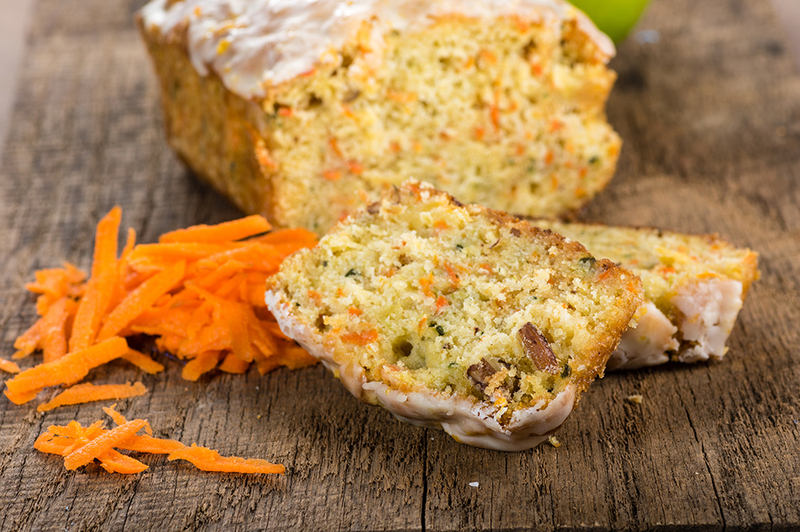 Sprinkle some shredded carrot on top with the help of the Easter Bunny and you are all set for a delicious, festive, and yummy carrot cake banana bread! Optional topping such as crushed walnuts, coconut, etc.